The holiday shopping season is in full-swing and books are always make great gifts. 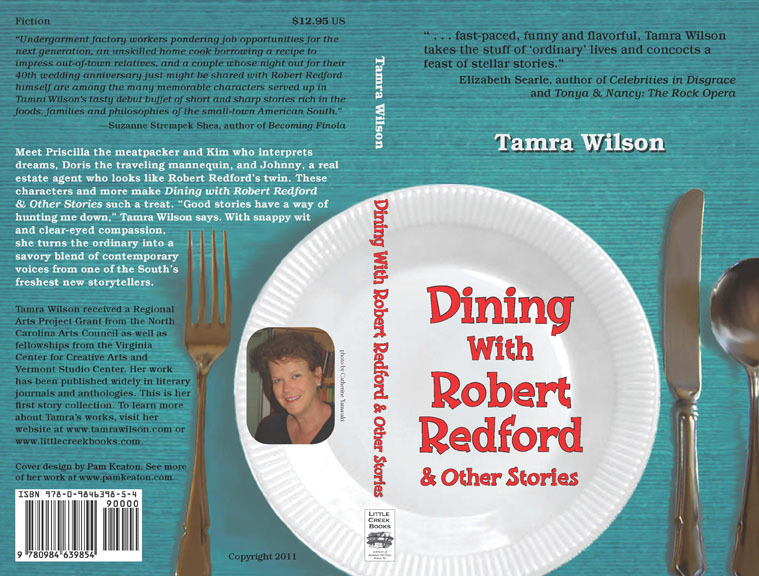 What better gift for the Robert Redford fan in your life (including yourself) than Dining with Robert Redford & Other Stories? I’ll be happy to sign a copy. Order through the website and shoot me an email about the inscription at tamra@tamrawilson.com . Of course you don’t have to be a Redford fan to like the book. I’ve heard from several of you who have enjoyed the humor, the authentic small-town voices and depiction of everyday life in my characters. What small town doesn’t have colorful characters? By the way, I’ve been taking “Bob” on the road with me. SPOILER ALERT: “Bob” is an authenticated, autographed 8×10 framed photo of Robert Redford acquired earlier this year. He’ll be accompanying me to more venues after the holidays. Stay tuned.